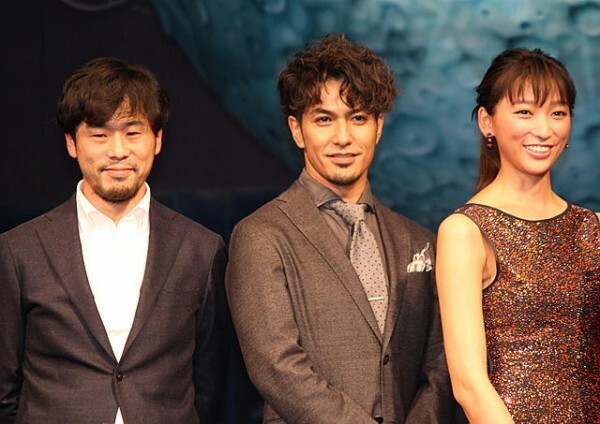 On November 20th, pre-screening event for upcoming movie "Movie Yokai Ningen Bem" was held at Tokyo International Forum in Yurakucho, Tokyo, and main cast members including�KAT-TUN's Kamenashi Kazuya, Anne, Suzuki Fuku, Kitamura Kazuki, Tsutsui Michitaka, Mizuki Alisa, and the director Kariyama Shunsuke, made appearances. This is a movie�adaptation of the popular drama that was aired last year, and the movie will depict the completely original story that involves three humanoid monsters Bem(Kamenashi), Bera(Anne), Bero(Suzuki), who�have decided to live to protect humans, getting involved with a mysterious incident in the town they happen to arrive at. Kamenashi commented, "A distinctive punch of the movie version and its original story gave this movie even more depth. I played the role without a blink, so all of you, please watch it without a blink as well." Reportedly, the filming for the movie was held during this summer, and Kamenashi revealed, "I had a hard time trying not to sweat (since I played a humanoid monster)." 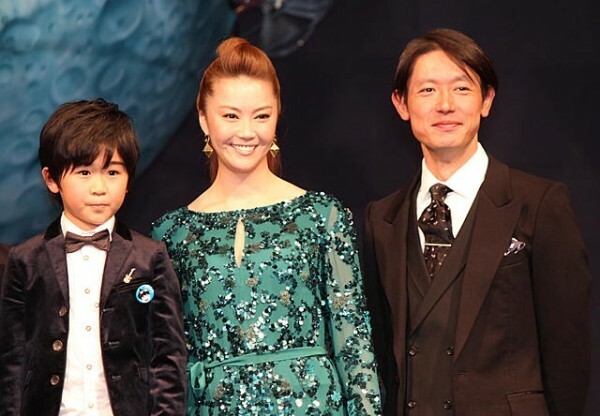 The duration of the filming was also the summer vacation time for the child actor Suzuki Fuku. �Anne said, "When three of us were together, we became like kids in the lower grades of�elementary�school. We did the workbooks for arithmetic and Kanji (for Suzuki's homework) together." Suzuki also said, "Both Kamenashi-san and Anne-san were so nice, and they helped me with studying." Mizuki and Tsutsui, who newly joined as cast members also made comments. Mizuki plays a happy housewife who also has the ability of a humanoid monster, and she revealed, "It took 3 hours for the special effects makeup each time. Since the makeup was received well by everybody and I wanted to play the monster, I enjoyed the role." On the other hand, Tsutsui who played Mizuki's husband, said with a sad face, "When I received an offer for this movie, I was expecting to be a monster, so it was little regrettable that my role was a human being." "Movie Yokai Ningen Bem" will open in theaters on December 15th. You can check out the trailers on the movie's official site (here).